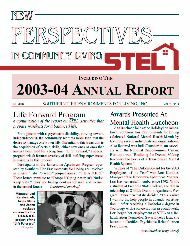 This is the place to find past issues of STEL's - New Perspectives in Community Living. To view our newsletters online you will need a pdf format reader. You can get your free reader here.